I called My Mother-In-Law this morning. I meant to find out what she’s doing for Easter (and invite her if she didn’t already have plans), see how her sister (and Hubby’s favorite Aunt) is doing after a cancer diagnosis (chemo and she has a new BOYFRIEND at the age of 83!) and to catch up with family news. I did, indeed, ask those things. But I spent the first ten minutes of the conversation crying and sobbing because of something My Mother-In-Law said. In years past, I would have been crying because she was being thoughtless. In years past, she WOULD have been being thoughtless, but not this morning. This morning, the second thing out of her mouth was to ask how The Kiddo’s birthday had been. She had sent The Kiddo a birthday card, as did my Father, but the rest of the extend family did not acknowledge his birthday in any way. They never do, so why I expected this year to be different, I don’t know. But when she asked, it just hit me how much The Kiddo is ignored in the greater extended family and how really painful it is. In mid February, I blogged about February Funk and explained how I’ve managed to stay somewhat sane, despite parenting someone with autism for over thirty years. The abridged version is……I don’t feel sorry for myself (i.e. no *Pity Party*) except for one day a year, The Kiddo’s Birthday. Then I cry, do a bit of whining and do birthday-type things with The Kiddo, The Middle Boy and The Youngest along with Hubby and move on, get over it and that’s usually that. But when My Mother-In-Law mentioned his birthday this morning, I lost it. The five of us have what we’ve come to call *Birthday Row*, all five of our birthdays come one a month, starting with mine in October, for five months. We have birthday traditions which have evolved as they have gotten older and reached adulthood. We laugh, go out to dinner, have birthday cake (chosen by the B-day person) and presents when we get home. We’re happy with our celebrations and with our family…and those who love us. I told My Mother-In-Law I so appreciated her sending a card (and how much it meant to me) and then, the waterworks took over. I blubbered that The Kiddo is a real person. I sobbed that he’s talented and smart in his own way. I cried that he’s a good person, a kind person, and if his own aunts and uncles and cousins (who have spent over thirty Thanksgivings and Christmases and Easters, not to mention 4th of Julys with him) can’t seem to treat him and see him as a person, what was the point of our family attending holidays with the whole family? She asked me what I meant, and I told her he is ignored when we bring him to family functions. I told her many of his cousins use the term *Retard*…not referring to him (at least I THINK it’s not)….but using the *R*word to refer to those deemed, perhaps, stupid or *not cool* or some such. It’s really an insult to The Kiddo and all those with intellectual challenges. These folks don’t edit their observations in front of The Kiddo or his brothers or even their aunt and uncle (Hubby and Me). It’s hurtful. I told her her next-oldest grandson brags he’s her first grandchild and when I reminded him The Kiddo is, he rolled his eyes and said, “you know what I mean.” My Mother-In-Law was not pleased about his comment, let me tell you! I suspect Cousin T said this because his whole family is uncomfortable with autism or any illness indicating some sort of weakness or deficiency. Quite ironic since one of his sisters is a social worker and another is a special ed teacher…you wouldn’t know it from their behavior to our family though. I had always had close relationship with my own cousins, despite living across the country. We gave each other small birthday gifts or sent a card or somehow connected in those days before email and texting. I wanted the same kind of relationship with their cousins for my own sons and started, beginning with baby gifts, sending something for birthdays. I really didn’t expect reciprocation for my boys but I did expect the occasional birthday card. I did expect some sort of thank you. They could have called, if their mother didn’t want to nag them to write a thank-you note. They could have told me they liked what I sent them for their birthdays when we saw each other at holidays or said something to one of The Boys or Hubby (who is exactly their Blood Uncle) but they did not. Still, I thought, it’s good for my kids to help choose and purchase gifts for their cousins and we made a special shopping trip, twice a year, to the mall. I always sent gifts until one year The Middle Boy wanted to know what I thought his aunt and uncle would be getting HIM for HIS birthday…even though they had never send him so much as a birthday postcard. I vamped and said it was sure to be something wonderful and bought him something myself, sent it to our house and then made him write a thank-you note and did the same thing for The Youngest and The Kiddo that year. It was so sad to think my child was not thought about after he spent an hour picking out *just the right* Hot Wheels for his younger cousin. After making sure I remembered all those children’s birthdays that year, I stopped sending gifts. Stopped. And that’s when all the nastiness and *R* word use began. All that hurt inflicted because of Matchbook cars and barrettes. Having to watch my first born son, whom I wanted and loved from the very beginning, being treated as a non-person is probably one of the biggest sorrows of my life. And watching his brothers having to deal with being told our family isn’t whole or healthy or *good enough* is an equal sorrow. My Mother-In-Law asked what she could do this morning. I told her to not let the family get away with excluding The Kiddo or saying unkind things to Hubby or Me or The Middle Boy or The Youngest. She promised me she would. In a moment of weakness, I either made things better or destroyed a relationship with my Hubby’s sibling and their family. Either way, I don’t care at this point. But I did care; I did care A LOT. 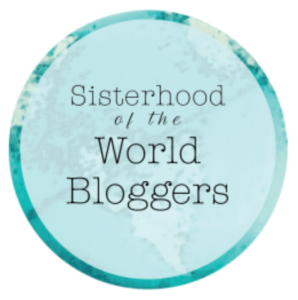 Previous Previous post: Sisterhood of the World Bloggers Tag! Next Next post: Ahem, Now Where Was I?